Taisho era is one of the most confusing era in Japan. It spans about a decade (from 1912 to 1926) and was under the reign of the Emperor Taisho, but was the reins of power was later swiftly passed to the state. The attire at this point in time was also very confusing, and was a mix between tradition and Western clothing. With modernisation, Japan found herself sandwiched between the two and as a result, opted to use hakama which will not obstruct movement. It was also worn with kimono and since hakama were not usually worn by females before that time period, it did blur the lines between genders and their respective gender roles a little. 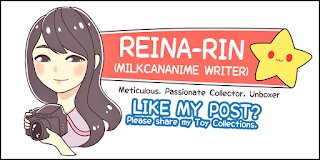 And with the brief introduction done and out of the way, let us move on to the main crux of this post which is the scouting! Pardon for taking so long to get this done, but I originally took a video of it but delayed taking screenshots from the video itself. I started the scout with 38 green scouting tickets. No gems were used, and only scouts with SRs and URs are shown. This is one of my best Kotori URs and she'll always hold a special place in my heart. I love her unidolised version a lot due to the outfit, background and the general atmosphere the card has. I was so overjoyed when I got her but alas, due to my smile team boosting BiBi by 6%, I'm afraid I won't be able to use her. After a huge line of Rares appearing after the first UR I've gotten, I'm elated to see Honoka! 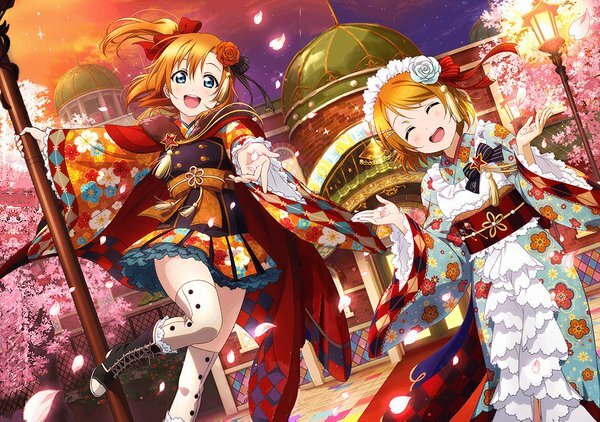 This is obviously one of the new cards in this series that I'm scouting for and looking at this, I'm hoping that Hanayo pops up too. Perhaps this would break the R string that I've been getting? 14 more to go and here is when I see another SR. Finally, a better than R card! My luck in this scouting round isn't going too well, with only so few scouted SRs. I typically get a whole lot more than this, judging by my solo-yolo SR luck. You thought it was Hanayo but it was me, Kotori! Kotori, you know it isn't your turn to have rates raised, right? And you know I prefer how you look unidolised in this set, right? You know I love Ball Nozomi too, and I'm scouting for a copy of Hanayo in addition to Honoka......... right? And yes, I was scouting for Kotori when the Victorian Ball set came out, but when I didn't get her with 350 gems and 20 Blue tickets, I gave up. And with how much she is appearing now, it's a little anti-climatic. Checking back with Reddit, it seemed that many people also scouted and got the Ball instead of the Taisho UR pair, while many people failed to get the Ball pair when it came out or got more luck at scouting Nozomi instead of Kotori then. Could it be possible that the increased stats were applied to the wrong pair this time round? With only 12 more scouts, things were bleak and as expected, I didn't manage to get anymore URs. This was from my final scout and yay for Non-tan. Sadly, she isn't a BiBi member so I'll stash her away till I can idolise her someday. 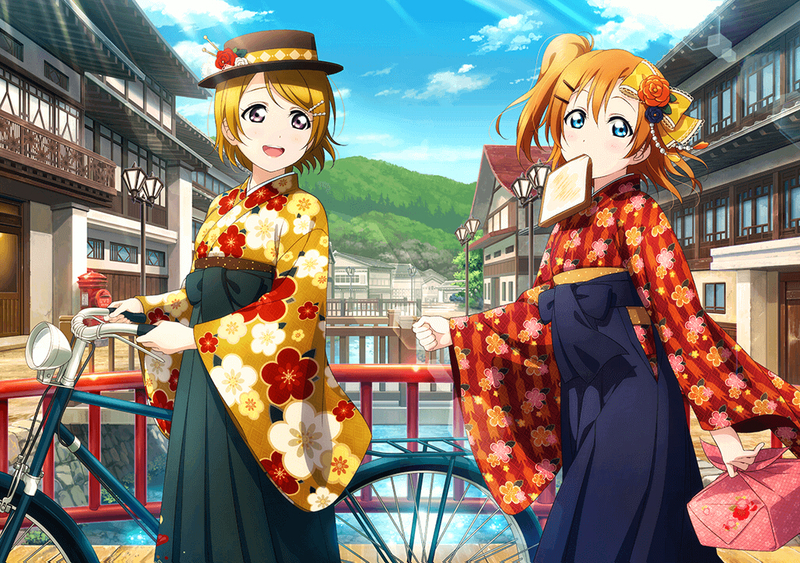 No Comment to " Love Live SIF: Scouting for Taisho Roman set "